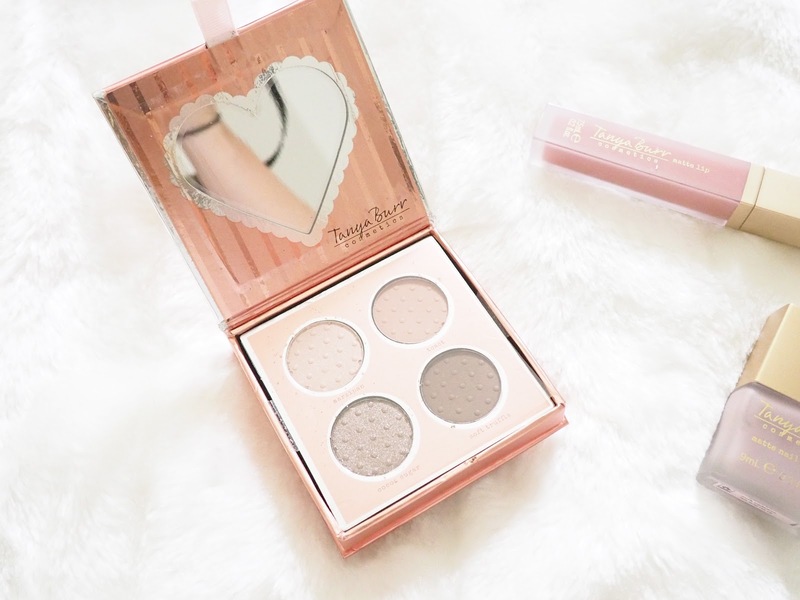 Whilst I was adding a load of Zoella Beauty (link here) products to my basket, I thought I may as well have a little look at what Tanya Burr Cosmetics was offering at the same time. I was super pleased to stumble across the matte lipsticks and matte nail varnishes, as I am obsessed with anything and everything matte. I also noticed the cute little eyeshadow palette's and obviously I wanted both, but ended up restricting myself and I only bought the one. From the Soft Luxe Collection, I purchased one of the liquid lipsticks, one of the matte nail varnishes and one of the eyeshadow palettes. The first item to be added to my basket was (obviously) the liquid lipstick in the shade Martha Moo. I love the name, I think it's so cute and the shade is a really lovely muted red/brown with a tiny bit of pink. Definitely a great everyday wear shade. I haven't worn this lipstick for that long, I just quickly tried it on to see if the colour suited me (it did in case you wondering) and I can say that it's a pretty good liquid lipstick! 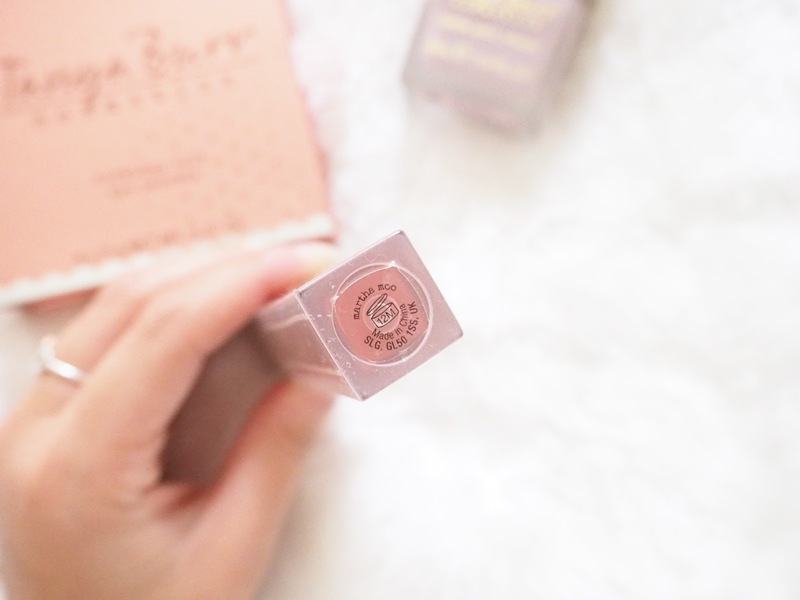 It dries within 30 seconds to 1 minute and does dry completely matte and not patchy at all. I didn't find it super comfortable to wear, but then I also didn't find it super uncomfortable to wear either. I think you're getting what you pay for and it does the job really nicely. I do really love the colour though, a l o t.
I wasn't actually intending on picking up one of the eyeshadow palette's, but they both caught my attention so I limited myself to just the one. I went for the more 'everyday' wear palette as I thought I would get more use out of this one, however I do think that the Enchanted Dream palette is just as beautiful. I was a tiny bit disappointed when I opened the lid of this palette to find that the individual pans were a little bit misplaced and there was a bit of eyeshadow fallout underneath the see-through plastic film - this is just a minimal negative though and will not affect how I feel about the palette overall. I did swatch each eyeshadow and the colour payoff seemed pretty good, a little chalky but nothing I won't be able to work with. 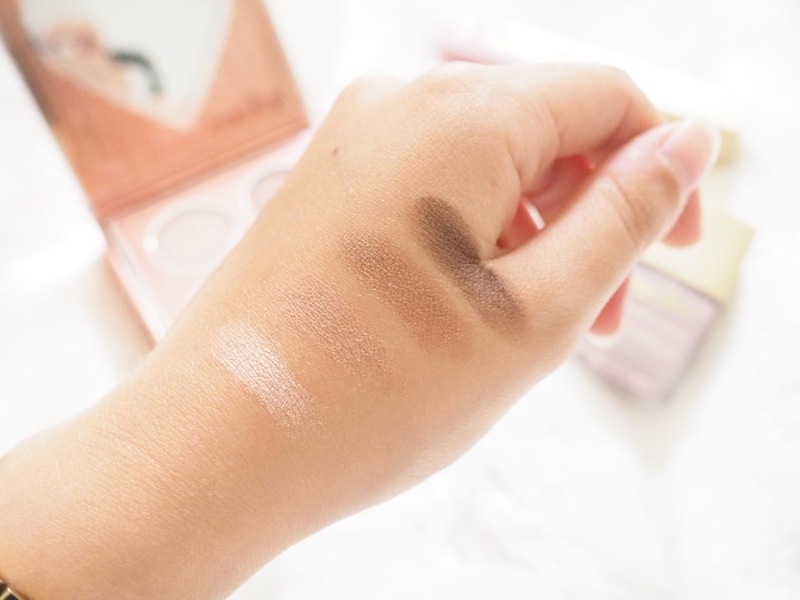 I am yet to try these eyeshadows on my eyes, but I will be sure to do a full review once I have done so. 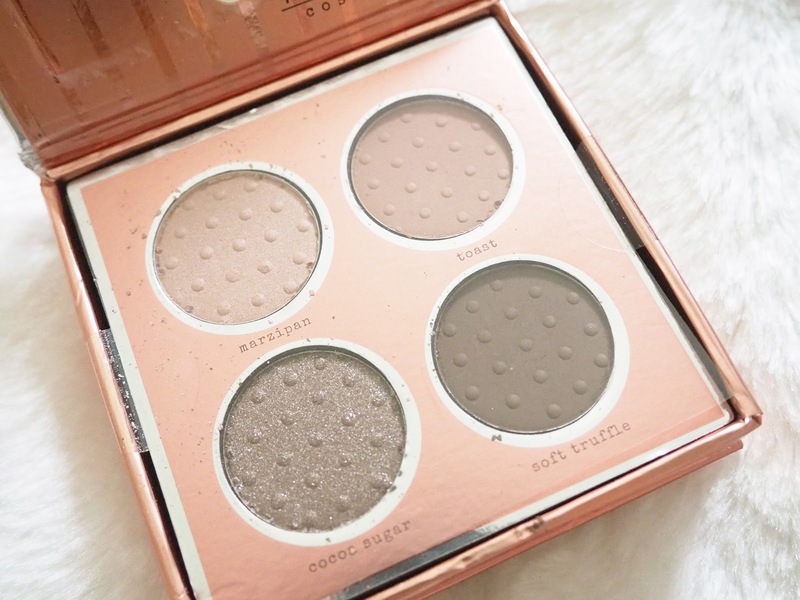 The packaging does obviously feel quite cheap as the eyeshadows are housed in a cardboard palette, however the design of the palette is really pretty and I love the metallic polka dots. I literally have an obsession with buying nail polishes and I definitely own way too many, especially in regards to the amount of times I a c t u a l l y paint my nails. Either way, the shade 'Soft Pyjamas' really caught my eye as it's a beautiful nail polish colour that actually makes me want to paint my nails (I say this all the time so let's see if I do actually end up painting them..). It's also supposed to have a matte finish which I l o v e and I would describe the shade as a lilac/grey/taupe - which is right up my street. I'm excited to start using all of these products and maybe even purchase some more if I love them! I completely love your gorgeous photography! You've just made me want to buy it all though. The liquid lipsticks sound actually really good, & the eyeshadows look beautiful! 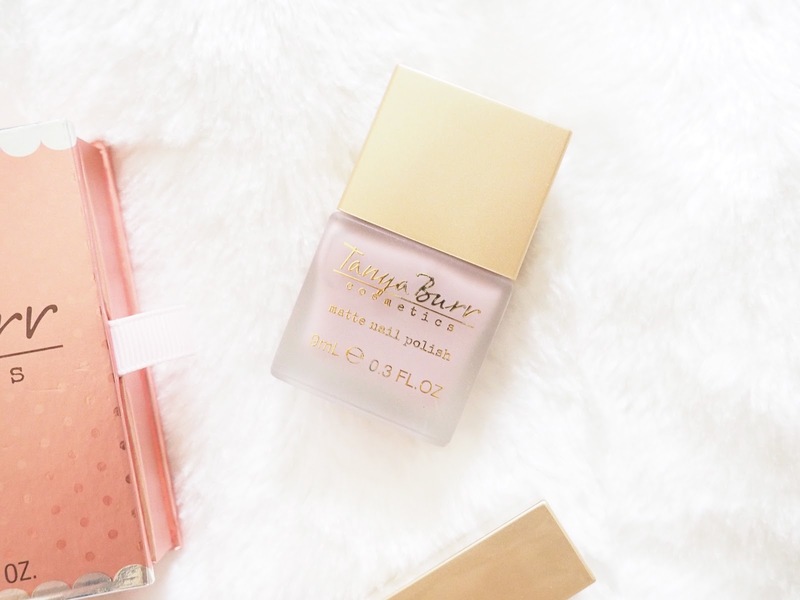 ^_^ Sadly, I haven't found any of the soft luxe collection in my local superdrug, but I'll keep hunting for it! I love the Birthday Suit palette so much - Martha Moo looks gorgeous!